Train'Share Info | America's Trains Inc.
Train’Shares include the attractive and eliminate undesirable aspects of timeshare vacation ownership. 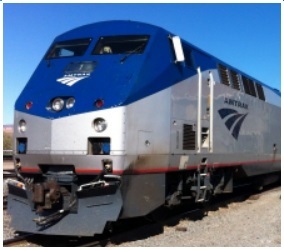 They provide an exceptional way to enjoy a combination of the best timesharing benefits and exclusive, distinctive all-inclusive Journeys by Rail, traveling as part of Amtrak or other trains; probably the most unique, finest all-inclusive luxury vacation in the USA. Train’Share rights are for a 10 year ‘Initial Term’ or can be ‘Perpetual’. Owners have annual, biennial, or more frequent rights to individual Journeys by Rail. Journeys by Rail feature deluxe accommodations with large beds and private bathrooms, exceptional dining, complimentary beverages, exquisite service, endless organized and/or optional things to do during layovers at en-route destinations, and various other typical plus unique timeshare owner benefits. Train’Share Owners can travel at designated or other times on a variety of changing Journey by Rail routes providing an unlimited choice of wonderful, varying vacation experiences. Owners become members of an Association that issues a Deed of Ownership for exclusive rights to and use of Cars, provides reservation services, and manages Car operations; itself or through a qualified managing agent. Annual Owner Journey Use Fees pay for administration and Car operating expenses, that include the locomotive (engine), other Car movement and on-board passenger services. If Owners don’t want to use a Journey they don’t have to pay the Fees. If an individual Journey by Rail is not used, Fees don’t have to be paid. Fees are lower than similar costs for equivalent real estate timeshares. America’s Trains Inc. guarantees that no unexpected Fee increases will occur. If they do, America’s Trains pays the difference. The retail value of unused Journeys by Rail and related market demand establishes a favorable resale price if Owners want to resell a Train’Share. America’s Trains will buy Train’Shares back at a price that ensures that Owners receive valuable consideration equal to their Train’Share purchase price. Journeys can be exchanged for a worldwide selection of luxury resort vacations. The total cost of Train’Share Journeys is lower than equivalent luxury resort, timeshare and train vacations in other countries. Prototype images represent car interiors that will be further enhanced.